Café Connect is run as a Social Enterprise which means that any profits are returned for the good of the community. As well as serving great coffee, tea and home baking Cafe Connect provides somewhere for people of all ages and walks of life to come and relax, meet together and make connections. 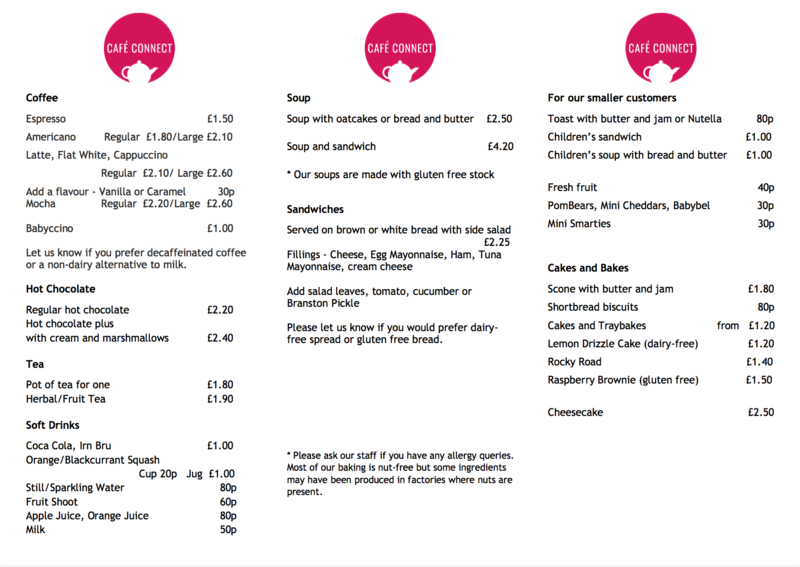 Cafe Connect can provide light lunches, teas, coffees and home baking for meetings and conferences. They can also provide party boxes for kids parties.